McALLEN, Texas—Stepping out of the air-conditioned car is like facing the blast of a thousand fan heaters. The trickling sweat—like an overflow valve—can somehow reassure that you’re not going to spontaneously combust. 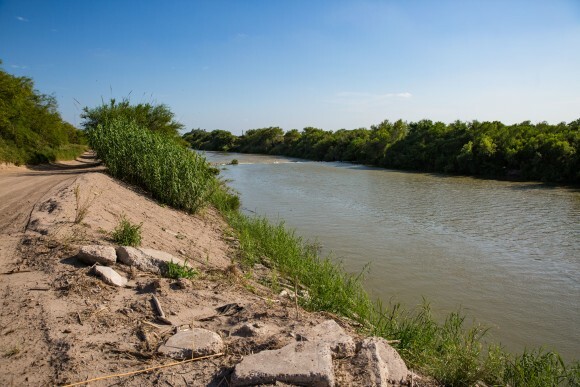 This is summer in the Rio Grande Valley, Texas, where the winding Rio Grande doubles as the border between the United States and Mexico. That’s why the first thing illegal immigrants ask for, when they come across the river and through residents’ properties, is water. 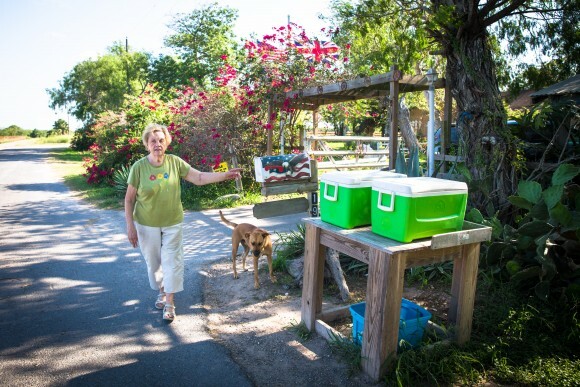 Pamela Taylor takes things a step further and every day leaves a cooler with cans of soda and ice by her mailbox—for illegal immigrants, Border Patrol, or anyone who is thirsty, she says. 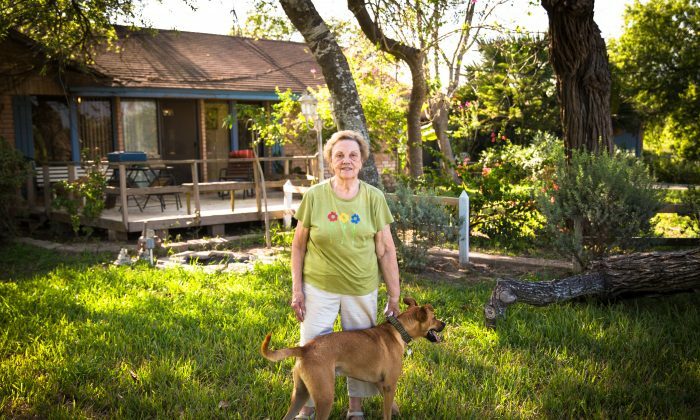 Taylor, an 89-year-old immigrant from the United Kingdom, has lived on her Brownsville property since 1946. Her house sits on 2 acres, nestled in a horseshoe bend of the Rio Grande. Illegal immigrants have to cross her property before they can get to the border fence, another 1,000 feet inland, across some fields. So far this year, she hasn’t seen many people cross through—a reflection of the 66 percent drop that Customs and Border Protection (CBP) reported from December through May. 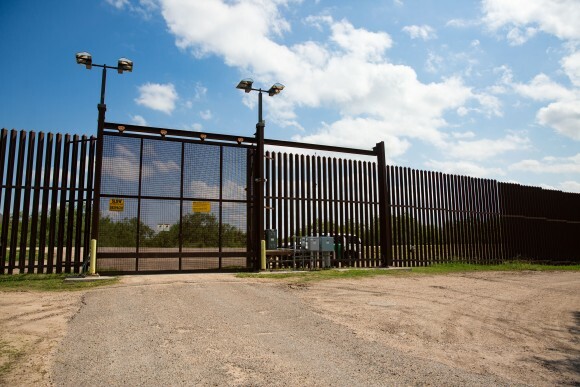 Manuel Padilla Jr., Border Patrol chief for the Rio Grande Valley Sector, said word had reached Mexico and Central America that the Trump administration is focused on immigration enforcement. “[That] and then the actual enforcement of these immigration laws have had a great impact on the people coming in,” Padilla said on May 30 at the Border Patrol headquarters in Edinburg. During the week The Epoch Times was at the border, CBP picked up $1.3 million’s worth of cocaine and $120,000 of heroin, as well as 976 pounds of marijuana, through the Rio Grande Valley sector—all hidden in vehicles crossing international bridges. Taylor recalled an incident from when her daughter and son-in-law lived with her. “My daughter had a little red hatchback Vibe vehicle, and he had a red pickup truck,” Taylor said. Taylor said the cartels had put a red Pontiac Vibe, identical to her daughter’s car, on a raft in Matamoros, Mexico, floated it across the Rio Grande, and parked it in Taylor’s driveway. Such is life on the border. Taylor has fed Border Patrol agents and illegal immigrants on Thanksgiving. 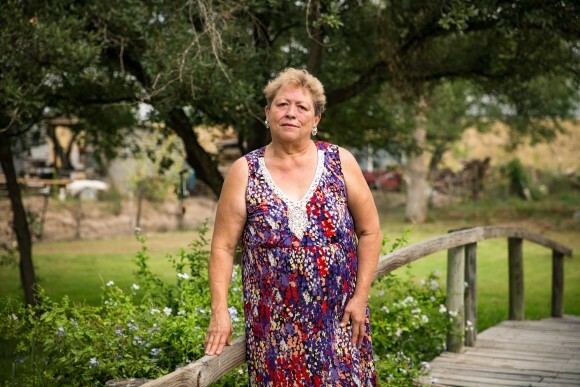 She had three militiamen stay on her property for a month in 2014, when illegal border crossings peaked in the Rio Grande Valley. Taylor provided them with meals and left them to their own devices. That fiscal year, Border Patrol picked up a total of 486,651 illegal immigrants nationwide, with more than 50 percent (256,393) crossing the Rio Grande into Texas. The valley saw a surge of an extra 100,000 illegal crossings in fiscal 2014 compared to the previous year. Most were classified as unaccompanied minors or family units (which had increased 130 percent and more than 500 percent from the previous year, respectively). Taylor doesn’t agree with people coming into the country illegally—she is an immigrant herself and believes the laws should be upheld. “Once they cross that river, they have broken the law. When I came to America, they told me to walk the fine line, that if I did anything, I would be sent back. So they’ve already broken the law,” she said. However, she was brought up to be generous and kind, so she helps when she can. One Thanksgiving, a young woman, with a 7-year-old son and a baby about a year old, came by Taylor’s house with Border Patrol. “I told the Border Patrol, ‘Ask her if she’s hungry,” Taylor said. She was. Taylor made up a plate of food for the family and placed a banana on top for the baby. All the border residents The Epoch Times spoke to were very clear on the line between helping an illegal alien and harboring or transporting an alien (which are felony offenses). Taylor strategically placed two large mirrors in her living room several years ago after she found an illegal alien sitting in her lounge. 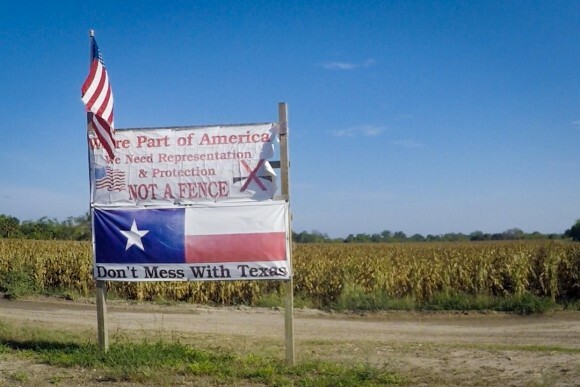 The sign Pamela Taylor erected in 2007, after the government decided to build border fencing in Brownsville, Texas. “I’d say there’s not going to be another fence built. This one didn’t work. All those millions of illegals wouldn’t be in America at this time,” Taylor said. But authorities say the 18-foot-high steel fence acts as a deterrent, slows people down, and funnels illegal activity to areas where Border Patrol can react quickly. Taylor’s biggest peeve now is the way a lot of illegal immigrants behave once they’ve entered the United States. “I’m a naturalized citizen, and I believe that when you come into another person’s home, which is America, you come with your hat in your hand. You adjust,” she said. As the crow flies, Noelia Guerra lives just 1.7 miles from the Taylor place. Guerra’s house is less than 300 feet from the border fence, on the U.S. side. Twenty years ago, when Guerra moved here, there was no electricity, let alone a fence. Her neighbors often headed down to the river to fish, 1.5 miles away. “I like the place because it’s not so crowded,” Guerra said at her home. She lives on a road that stops abruptly with the fence. Before the fence was erected about seven years ago, Guerra said there was a constant stream of illegal immigrants heading north. They didn’t linger, as they wanted to get away from the fence and the watchful eyes of Border Patrol and disappear into a city. Since the fence, it has been much quieter, and she hasn’t seen a soul since the end of last year. About six months ago, Guerra said she was cutting the grass in her yard with her husband. A woman who had obviously just crossed the Rio Grande approached the fence. She had a baby around 6 months old with her. Guerra said as a Mexican, it tugs at her heart to know all the difficulties these people have been through and not be able to do anything about it. Seeing the white and green Border Patrol trucks is part of daily life here. She knows when a new Border Patrol agent is assigned to the area—she often gets stopped by them on her way to work at the local elementary school. They usually check her driver’s license and send her on her way. Seventy miles west of Brownsville is a tiny border town called Granjeno, population 288, according to 2015 census data. Most of the residents here are related, and land gets passed down within families for generations. 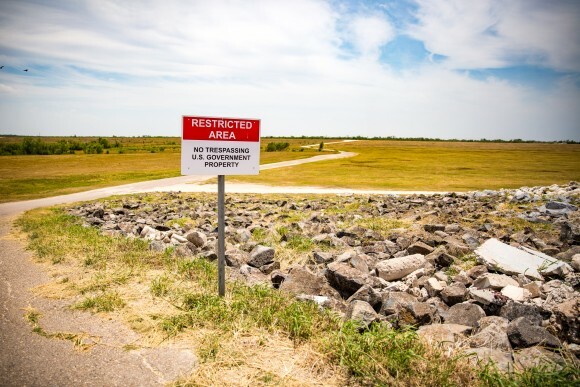 The residents at this part of the border tell similar stories, but it’s a levee wall rather than a fence that illegal immigrants have to get around, or over. 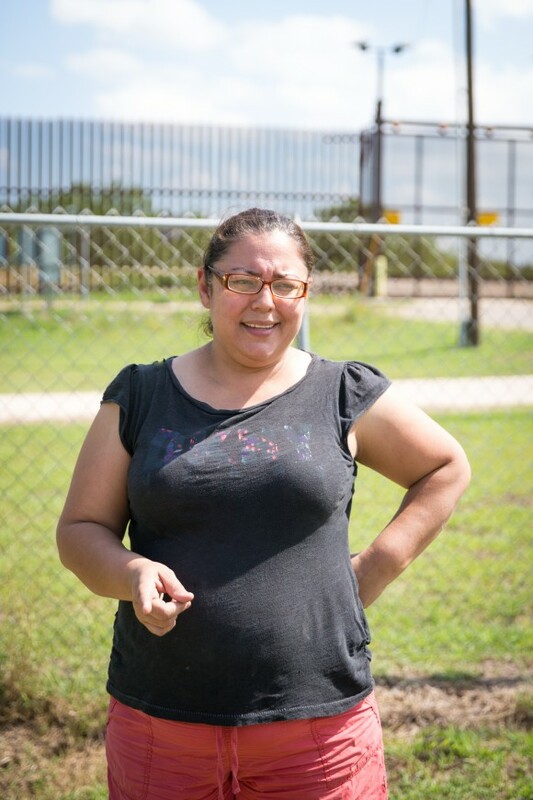 Gloria Garza has lived in Granjeno her whole life. She was the driving force behind the community opposition to a fence in 2007, after she discovered the government wanted to slice Granjeno up with the fence. The original plan, she said, had the fence in her backyard, close to her bedroom window. Many of her neighbors’ houses and land would be lost to eminent domain, in which the government takes the land and pays a basic amount in compensation. Garza got her neighbors together and told them not to sign anything. “They were scared and their way of thinking was, ‘You can’t beat government,'” she said. But she told them it was worth a try. “It was a long fight … about two years,” Garza said. She credits the county commissioners with coming up with the idea of fixing and raising the current levees, which were already in dire need of repair before the next flood. In 2009, construction was completed on a 2-mile concrete levee wall that has a sheer 18-foot drop on the Mexico side. It has since helped against floods, but the tide of illegal immigrants still finds a way over or around—especially in 2014, when the surge from the south was peaking. “It was a constant, constant flow,” Garza said. She and her husband had hundreds of sleepless nights. “Out the back, we have the fence posts, but we don’t have a fence, because they were tearing it down,” she said, adding that the fence to her neighbor’s place was damaged so badly it looked like a car had driven through it. She’s hoping it will stay that way and says the community is better off right now. 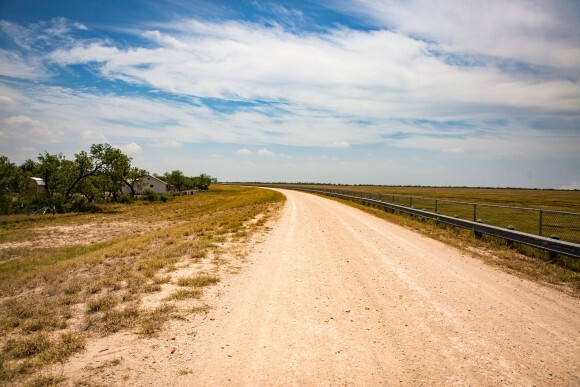 The days of hordes of illegal immigrants crossing through the dusty reaches of the Rio Grande Valley may have subsided, but drugs are still rampant and likely the next big challenge for both Border Patrol and the residents whose lives are intertwined with the border.